Linux Cloud Server-What is site software how it is useful? Site Software is an open source package installation tool which can quickly and effortlessly copy a wide range of open source web-scripts to your hosting house and later it redirects you to the installer to enable you to personalize your setup. By making use of site software you will be able to save time and bandwidth without the need to upload large web scripts to your hosting space. Site Software is an application which is newly implemented in the HR panel and it consists of all the applications like WordPress, Joomla, Drupal, Codeigniter, Magento, Laravel and much more. It is similar to the Softaculous app installer which is on the Cpanel. With the help of site software, you can install the applications in one click. 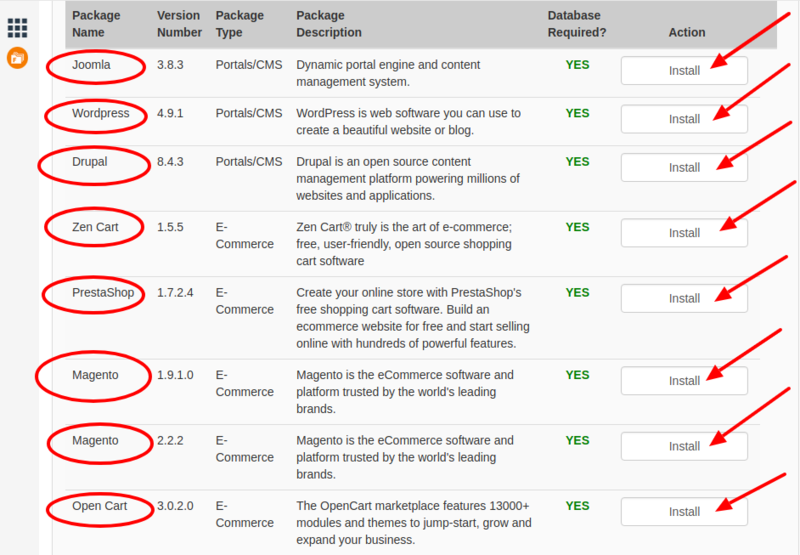 The Site Software permits you to add, upgrade, manage and remove HR panel and Cpanel add-ons. HR Panel and Cpanel add-ons are the software packages that enables useful functions for your website. Step-3: In the Site Software page you will find numerous of softwares, you can install the suitable software by clicking on Install option. Hosting Raja is the leading and satisfactory hosting company in India. We offer our clients a quality and solid services at most affordable prices. Hosting Raja is the only Indian company that provides support in all Indian languages. There are numerous of service providers but, Hostingraja is the #1 hosting company in India. HostingRaja provides the high-quality hosting services with the help of our dedicated group of Engineers who are able to provide 99.9% of uptime guarantee, which other service providers fail to provide. Additionally, we also offer 24/7 customer support by the certified group of members. You can contact our team members by phone, live chat, email, and ticket system. How to set the mail alias in Linux ?